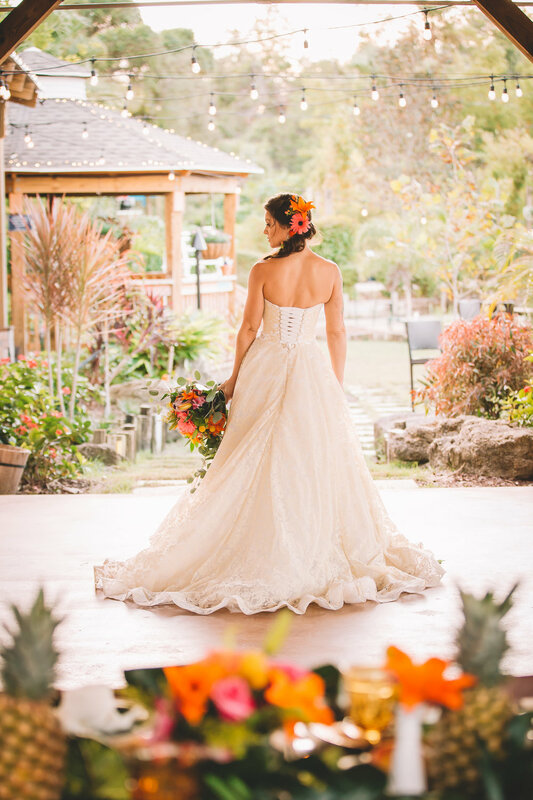 Forget about the forget-me-nots and bring on the paradise with the this themed shoot at Rockledge Gardens. This mock-wedding-shoot was a collaboration of many talented vendors to showcase this colorful space and everything we could do together. Rockledge Gardens has been in the nursery business for over 60 years. In fact, to this day it remains to be the largest and most complete in Brevard County and in central coastal Florida. Throughout the years this family-owned and operated business has grown into hosting gardening classes, events, and now weddings! 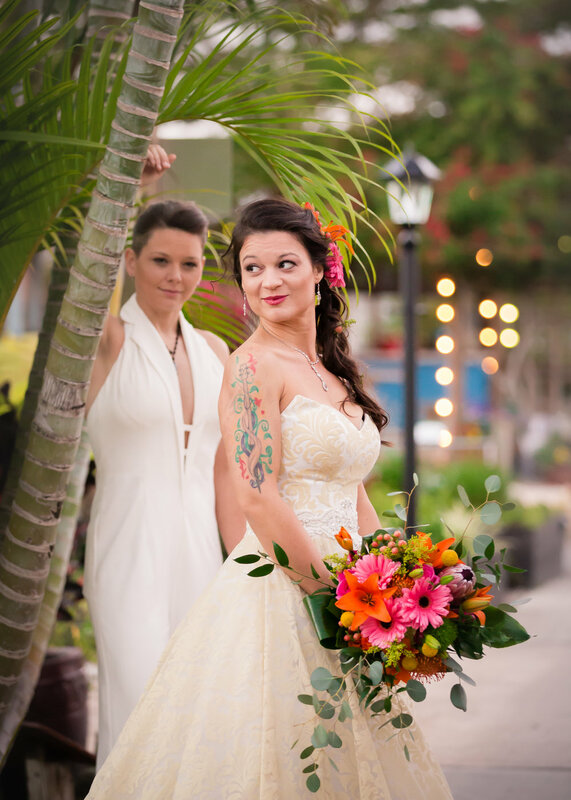 Who wouldn't want to get married in this tropical oasis? Amanda and Bean are a real life couple! They got married in 2015, but never got any professional photos from their BIG day. Of course, nothing can recreate that moment for them, but we were so excited to be able to capture a mini "take 2" for them so to speak. Amanda and Bean were so excited to be part of it and we thought they made a perfect fit for our project! 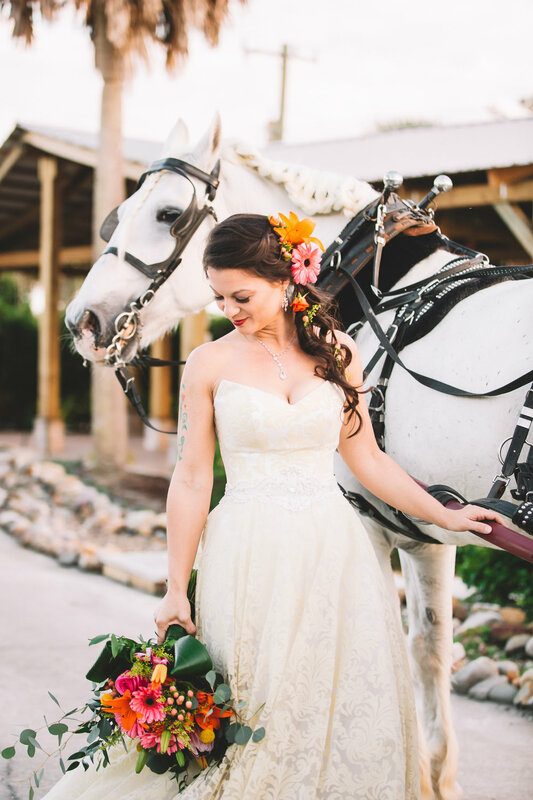 More photos from our shoot are soon to be featured in Orange Blossom Bride and Dancing with Her magazine! Special thanks to the wonderful team that made our vision a reality!